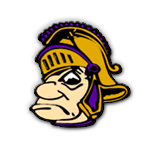 Gladiators News · Apr 13 Gavit Varsity Baseball @ Highland High School – Saturday, April 13, 2019 @ 10:00 a.m. The Gavit Varsity Baseball Team will travel to Highland High School for a non-conference game vs. The Highland Trojans on Saturday, April 13, 2019. The game begins @ 10:00 a.m.